Principal photography has begun on Screen Gems’ suspense thriller, He’s Out There. 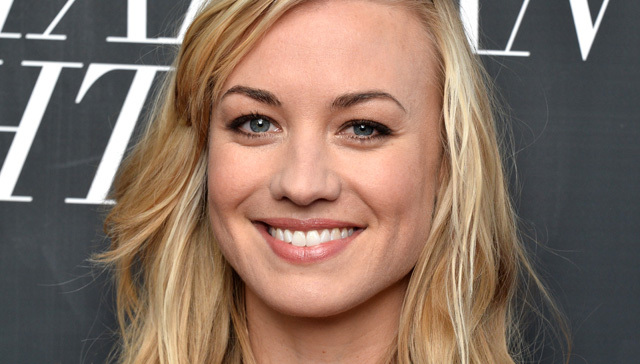 Yvonne Strahovski (I, Frankenstein, The Guilt Trip, “Dexter”) stars, along with Justin Bruening, Anna Pniowsky, Abigail Pniowsky, Julian Bailey and Ryan McDonald. On vacation at a remote lake house, a mother and her two young daughters must fight for survival after falling into a terrifying and bizarre nightmare. Dennis Iliadis directs, from a script by Mike Scannell. Producers are Adrienne Biddle and Bryan Bertino of Unbroken Pictures. Glenn Gainor is executive producer. Dennis Iliadis previously directed Delirium and The Last House on the Left. He’s Out There marks Mike Scannell’s first feature screenplay. Rounding out the production team, Edward Wild is director of photography (London Has Fallen, Severance); Peter Cosco is production designer (Haunter); and Rick Shaine is editor (The Incredible Hulk, A Nightmare on Elm Street). He’s Out There shoots until late summer in the Laurentians region, north of Montreal in Quebec, Canada.